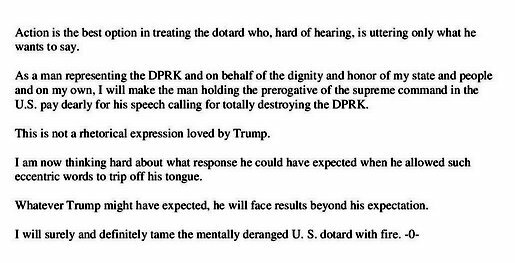 Kim Jong Un: Deranged Trump Insulted Me In Front Of The World And Will Pay Dearly For His Rudeness - Joe.My.God. 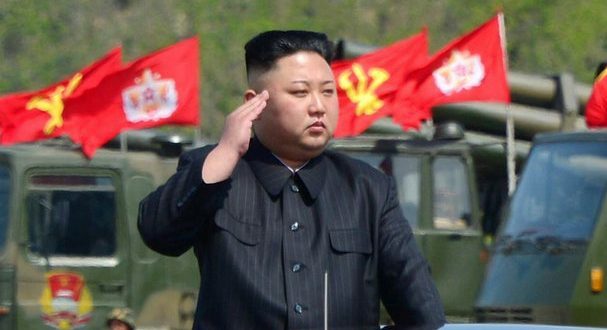 North Korea state news agency: Kim Jong Un calls Trump “deranged,” says he will “pay dearly” for his threats. 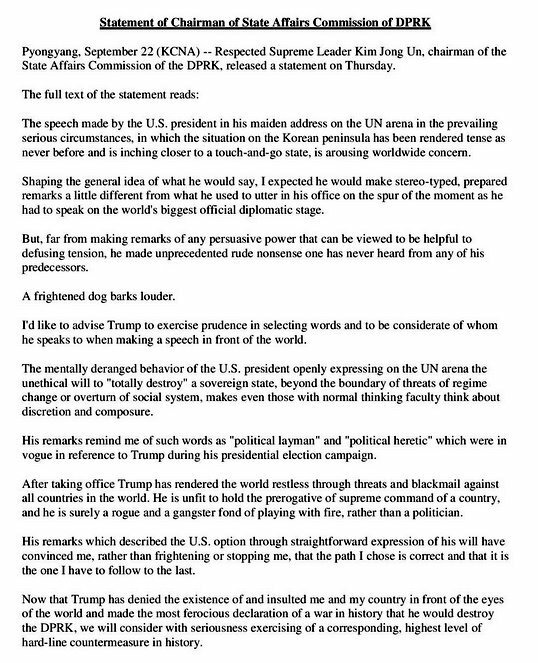 The announcement from the news agency comes after North Korea’s foreign minister mad a comment, “the sound of a dog barking” in regards to President Donald Trump’s threat to destroy his country.